Claman on Call: FBN’s Liz Claman with an after-hours web exclusive on the markets, the Federal Reserve, the dollar, oil prices and FedEx earnings. The Fed lifts off and takes the markets with it! Exactly seven years to the day after cutting interest rates to historic lows, the Federal Reserve took flight, hiking rates by a modest .25%. Stocks built on triple-digit point gains Monday and Tuesday as the Dow moved into rally territory to close up 224 points. 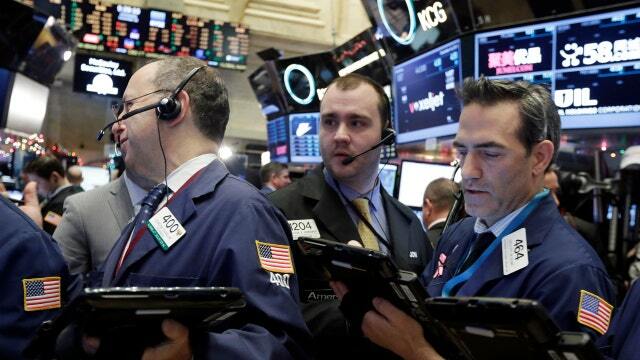 The S&P rose 29 points to become positive for the year and the Nasdaq gained 75 points. The dollar showed an immediate reaction to the move, strengthening against the euro and yen. Treasuries also spiked on the decision; the 2-year yield climbed to 0.984%, its highest level since May 2010. The 10-year yield also reached 2.28%, its highest level since December 3. U.S. junk bonds also got a boost from the rate hike. They&apos;ve been getting clobbered in the past few sessions. But oil tanked after two days of recovery from near seven-year lows. A massive build in weekly crude inventories drove oil to close down nearly 5% at $35.52 a barrel. Some late breaking earnings; FedEx (NYSE:FDX) shares gained after-hours after the shipping giant posted better-than-expected earnings, beating estimates on both revenue and profit.